Sherman Oaks Real Estate is close to two major freeways, serves as a gateway to the San Fernando Valley. The community of Sherman Oaks Real Estate is perhaps best known as the home of the Sherman Oaks Galleria, the Movie Valley Girl and Fast Times at Ridgemenont High were Filmed there. Today the Sherman Oaks Galeria has had a facelift and is now a mostly outdoor mall. Two large shopping malls in the area, smaller boutiques, plazas and restaurants line Ventura Boulevard, providing residents and visitors with endless shopping, entertainment and dining opportunities. There are approximately 53,200 people living in Sherman Oaks. Am area approximately 9 square miles and is part of Los Angeles City. Sherman Oaks obtains its services from Los Angeles City - including it's schools - Los Angeles Unified School District (see Sherman Oaks Schools Information below). Many members of the financial industry, including banks and brokerage houses, are located in the Sherman Oaks, CA. Real Estate Homes area. And Sunkist Growers, one of the country's oldest and largest agricultural cooperatives, has been rooted in Sherman Oaks Real Estate Homes for almost 30 years. Search for Your Sherman Oaks Home using my MLS. Sherman Oaks, CA. is a wonderful place to buy Real Estate Homes. Please see my page "About Todd and Heather". 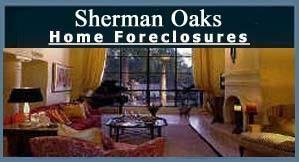 If you own real estate in Sherman Oaks, CA. Real Estate Homes that you're thinking of selling, I would be happy to provide you with a FREEHome Evaluation. Please browse my website for important information, including: Calculators (how much home can you afford? ), Buying and Selling tips, as well as Our Listings. 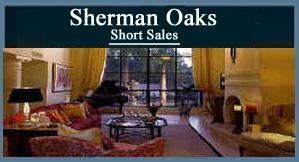 Please contact me with your Sherman Oaks Real Estate Homes needs. Thank you for visiting http://www.san-fernando-valley-real-estate-homes.com/Sherman_Oaks_Real_Estate_Homes/page_863563.html The best source for Sherman Oaks Real Estate Homes. The Value of Your Sherman Oaks Home in 2 Easy Steps!